A short video-clip on Ha Long Bay aired by ABC News drew admiring comments and ‘likes’ from viewers. The video of limestone karst mountains rising spectacularly from turquoise waters in the northern province of Quang Ninh was broadcast by the American channel Tuesday, February 26. The footage was filmed by reporter David Muir, who commented: "And looking out the window, the incredible sight. The limestone formations as far as we could see. And from the ground, the tour boats dwarfed by those formations. "Thank you for sharing the beauty of Vietnam," said Victoria Heim. "My wife and I had our second honeymoon there. The place looks so beautiful from September to November. We booked a luxury tour boat and spent 3 days there," said Frank. "Looks just beautiful, UNESCO heritage sites are always worth the time to visit," wrote Stella Bar. Ha Long Bay has been one of Vietnam's biggest tourism magnets for some time now. 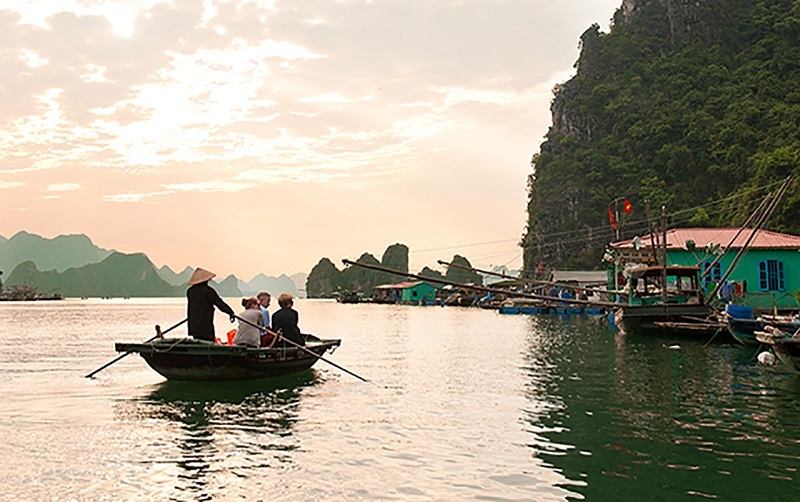 U.S. travel guide site Smarter Travel has described it as one of the best ecological spots in the world, while Business Insider has advised that an overnight Ha Long cruise trip is a "must-try" travel experience in Asia. The bay was a shooting site for Hollywood blockbuster "Kong: Skull Island" which hit local theaters in 2017.